At the Anime Expo 2017 NIS America announced two new games coming to the Nintendo Switch. They are Penny-Punching Princess and The Longest Five Minutes. Both are scheduled to arrive in 2018. In Penny-Punching Princess you’ll play as a rough and tough character who will do anything to get more money. You’ll be able to bribe enemies into doing your dirty work as well as purchase traps to lure in unsuspecting enemies holding (hopefully) loads of cash for you to nab. This isometric single-player brawler will allow you to fight your way from nothing and amass treasures to reclaim your kingdom. 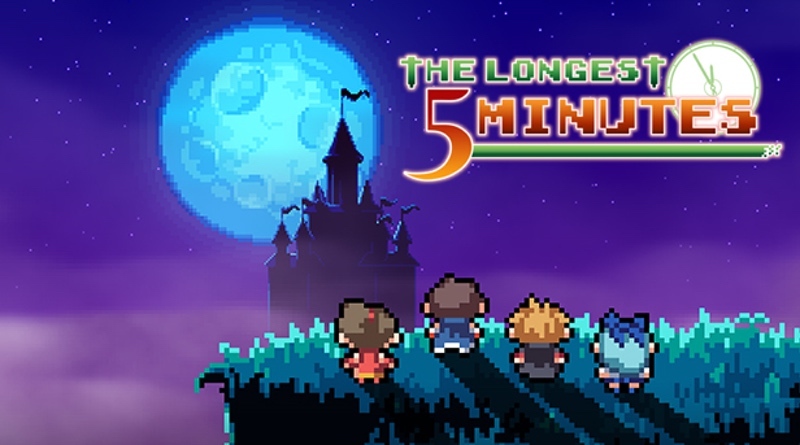 The Longest Five Minutes is classified by NIS America as an 8-bit Classic RPG. This unique title has you battling the final boss of the game in the first five minutes of the game! This one definitely looks intriguing and has a fun plot to boot. Our hero faces the origin of all evil, the Overlord himself, but suddenly loses all memories of his adventure. His finishing moves, the name of his hometown, and even the reason he’s trying to defeat the Overlord in the first place, all gone. Our hero tries to regain his priceless memories before it’s too late, but the Overlord stands before him, his power unyielding! What can happen in the The Longest Five Minutes!? Both games are currently able to be pre-ordered directly from NIS America’s store. The Limited Edition of Penny-Punching Princess is here, and the Limited Edition of The Longest Five Minutes is here!